We are SC3 – the Southern California Classic Collectors – a videogame collector's group serving the Metropolitan Los Angeles, San Diego and Inland Empire areas. We've got a soft spot for the "classic" days of the early 1980s, but we love games of all eras, from Pong to PlayStation 4. Come and play! The November 10 party was as much about what was not there as what was. You've heard us talk about the expanding trade area and the seemingly never-ending piles of gaming items on offer. It's difficult; we're collectors too so we like to see stuff made available. But let's face it: game resellers ("flippers") are a real thing nowadays and their "for the money" vibe doesn't mesh well with SC3's "for the games and for the friends" philosophy. So this time, we shrunk the trade area and kept the flippers away. 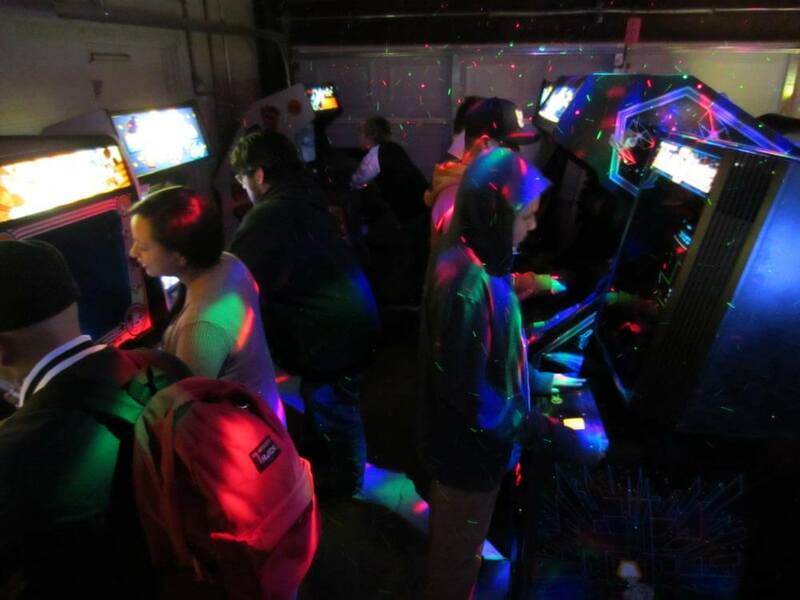 This reduced our crowd size a bit but let us focus on having fun socializing and playing games – what our Arcade Parties are really all about! This event felt like getting back to the SC3 basics of fun, games, food, games, friends and games! 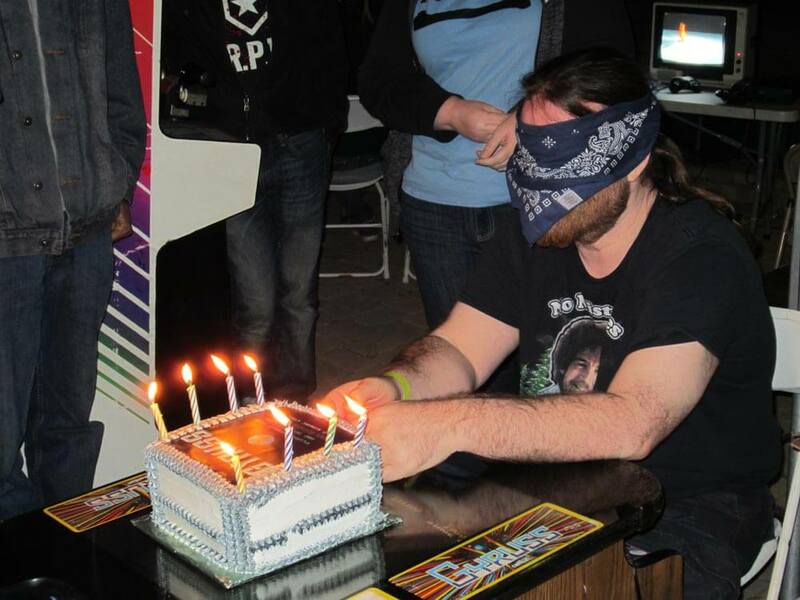 Read all about it, and one Gyruss-themed birthday surprise, in the Nov. 10, 2018 Event Recap! The date for SC3's spring event is yet to be announced. 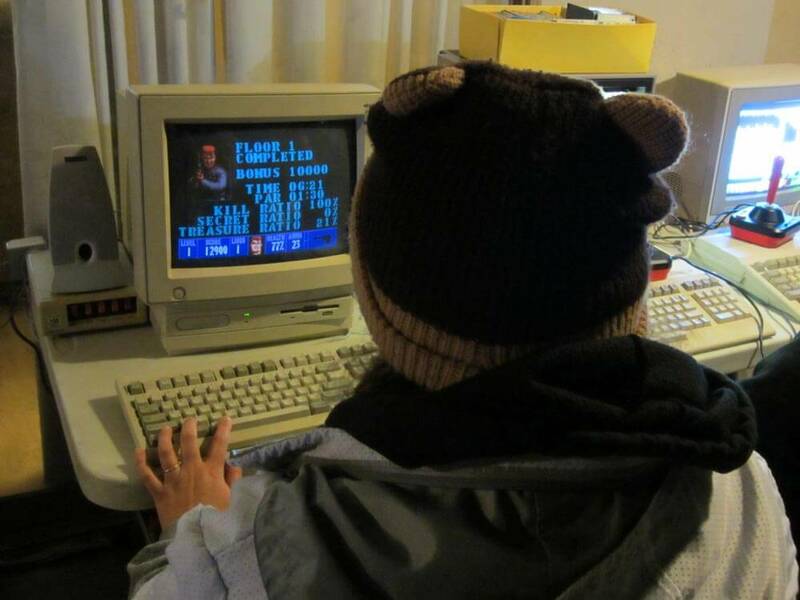 With the closing of Arcade 2084, we're scouting for a new location. We have a couple leads but nothing definite as of yet. 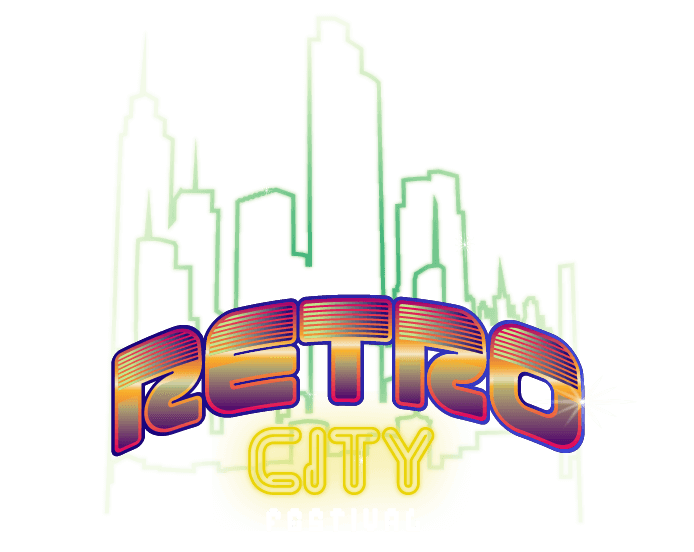 However, SC3 will have a presence at Retro City Festival 2019, to be held Jan. 5th & 6th at the Fairplex in Pomona. We hope to see you there! Keep an eye on this site and our Facebook page for future announcements. And as always, keep gaming! Next SC3 Arcade Party: November 10, 2018! Back to the Backyard Again! It is a fall tradition to head back home, reconnect with family and old friends over some good food, and just generally take the time to be grateful for all the things you enjoy. Thanksgiving? Sure, that's nice. But we're talking about that other autumn celebration: the SC3 backyard party! Once again, Thanksgiving is coming to Southern California a couple of weeks early. SC3 will be serving up a vertiable classic videogaming feast on Saturday, November 10, 2018, from 4 p.m. to midnight. Come join us as we cram too many arcade machines and classic home consoles into the back yard of one lucky home in Claremont. If you attended one of the old parties, you know that like any good Thanksgiving meal, it'll be overstuffed but extremely satisfying. The good old backyard is a smaller venue. There's just not enough room to accommodate 200 people, dozens of arcades and the huge mountains of trade goods that have been showing up at our last few events. And renovations to the yard have REDUCED the amount of available trade space this year. More announcements may be made later, but at this time we cannot guarantee ANY available trade table space. Please plan on bringing only trade goods that can fit in a backpack that you carry, or feel comfortable leaving in your vehicle. Please do not bring your own tables. If you want to attend, you must fill out this RSVP form. If your registration is accepted, you will be informed via email. Also note that this event starts at 4 p.m. No one, except authorized event planners, will be allowed in before 4 p.m. Your donations keep SC3 functioning, and our costs are expected to rise for this event. Our suggested donation at this event is $10 per adult attendee. Thanks as always for your support and remember to keep an eye here and on our Future Meeting Page for more announcements about the event! 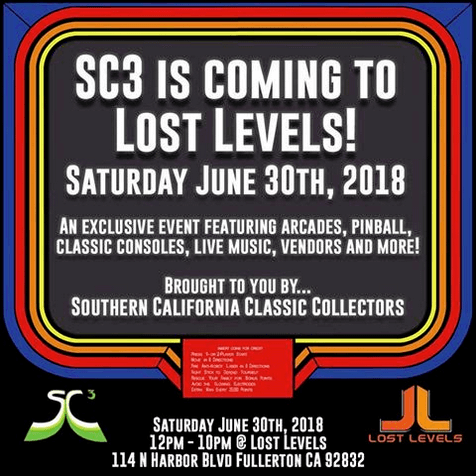 When Lost Levels, a retro arcade and game store in Fullerton, reached out to SC3 about hosting a combined event at their facility, it seemed like a natural fit. Like SC3, Lost Levels celebrates vintage games, particularly those of the 8- and 16-bit eras. 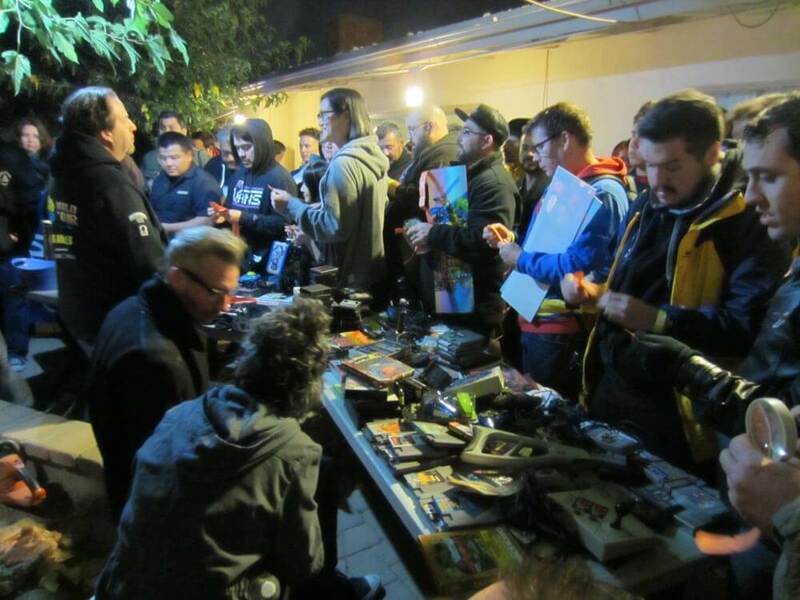 So on June 30, we showed up in Fullerton, TVs and vintage consoles in hand. 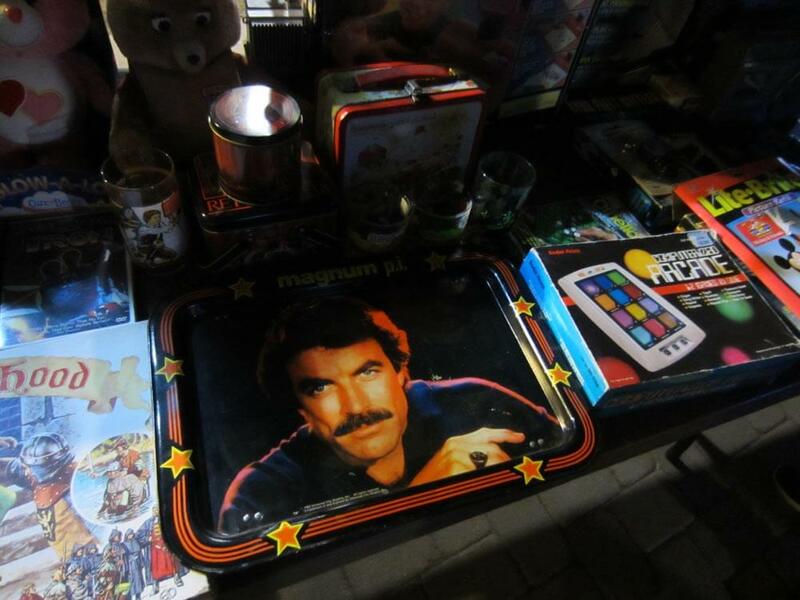 Vendors, video games and heavy metal (courtesy of Super MadNES) followed. Some pinball action too. Read all about it in our June 30 Event Recap. The next SC3 event is yet to be announced, but will likely be in the fall, sometime around November. As always, keep an eye on this site and our Facebook page for developments. If you weren't aware, Lost Levels is an awesome arcade and game store in Fullerton. Admission for this event is $10, and all games will be on free play! SC3 will be on hand to supplement LL's games with selections from our collection of classic consoles. Super MadNES will be there too, with some new songs! Over 25 vendors will be at the event, and most table space has already been reserved. If you're interested in bringing your own trade goods, please contact Steve Torres of Lost Levels through their social media sites first. Here are links to Lost Levels' Instragram and Facebook pages. Retro City Festival is an annual celebration dedicated to the history of video gaming. We showcase the largest selection of retro console gaming under one roof in California. Experience Retro City's classic arcades, pinball, tournaments, museums, vendors, and huge console play area! As SoCal locals know, there's a huge retro gaming community here, one of which SC3 is proud to a be a part of. But while other areas of the state and the rest of the country host big conventions like California Extreme and Classic Game Fest, somehow Southern California hasn't. Well, Retro City is here to remedy that. The organizers are already part of the SoCal retro community; the Festival just lets them take things to the next level. They asked SC3 to have a presence there, which we will in a small way, to show our support and to help share the word. We hope all our regulars are able to come by and say hello, and to check out all the great attractions the Festival has to offer! See you Jan. 20 and 21!